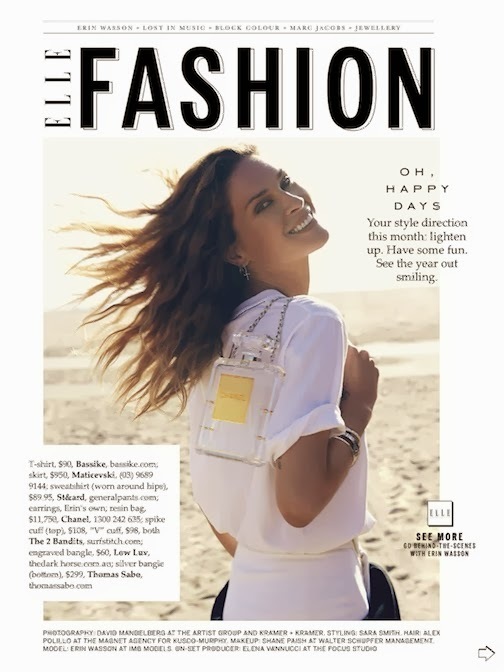 Erin Wasson by David Mandelberg for ELLE AUSTRALIA, DECEMBER 2013 in "ALL ABOUT ERIN". Sarah Smith styles Erin in Bassike, Maticevski, St&ard, Chanel, Low Luv, Thomas Sabo, Burberry Prorsum, Balletto Body, The 2 Bandits, Miu Miu, Stolen Girlfriends Club, Tiffany & Co., Willow, Le Specs, Brvtvs, Collette Dinnigan and Pepe Jeans. Photos: David Mandleberg for ELLE AUSTRALIA via UnebetiteIt and Mo.Mo.